Footlong Development presents this all night tribute to all things Stevie Wonder which has become the premiere annual event where singing along is highly contagious and almost required if you don’t want to be left out in the cold. 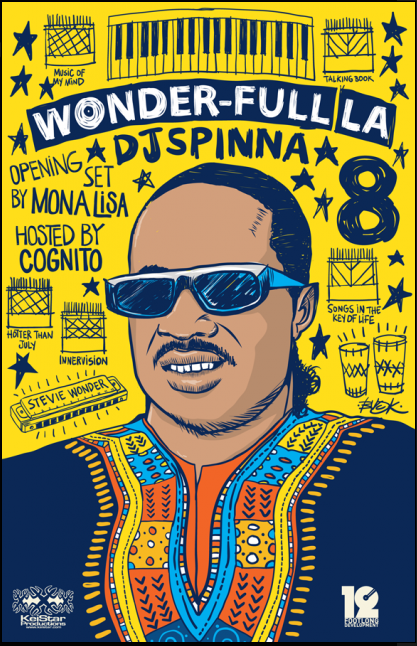 Dj Spinna has probably uncovered a few more gems in his diggin ventures as he does each year mixing it up with originals, remixes, exclusives, samples and covers and don’t be surprised if in within that 4 hour tribute set non-other than Stevie himself appears as he has been known to do in the past. Here is what started it all off WONDER WROTE it VOL 1. Enjoy! !